Get More Out Of Your Athletes. 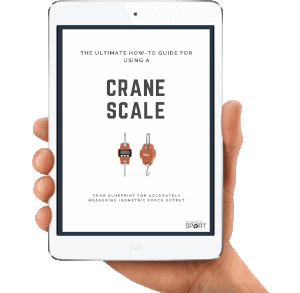 Accurately measure Isometric force output by downloading the FREE Ultimate how-to guide for using a Crane Scale now! If you’re in the business of improving an athlete’s performance, then knowing their maximal strength is very important. An athlete’s maximal strength is the total amount of force they can produce in a given movement (e.g. back squat) and is also commonly referred to as their ‘maximal force capacity’. While it’s important to understand your athlete’s maximal force capacity unless you have a bulbous budget to work with, simply measuring it can be a difficult task. For example, a force plate will set you back tens of thousands of dollars , a dynamic 1-repetition maximum (1RM) test will take a long time to administer, cause fatigue and muscle soreness, and not even give accurate results if the athlete is being tested on a day when they’re fatigued. You could also try to estimate an athlete’s 1RM using a velocity-based training (VBT) device, however, as the research has shown, this method isn’t very accurate . The only way to get more reliable 1RM estimates using VBT devices is to use loads very close to an athlete’s 1RM , but that then defeats the purpose of estimating it in the first place. As technology advances, most things tend to get easier, quicker, and cheaper and there seems to be no exception in the world of sports performance. 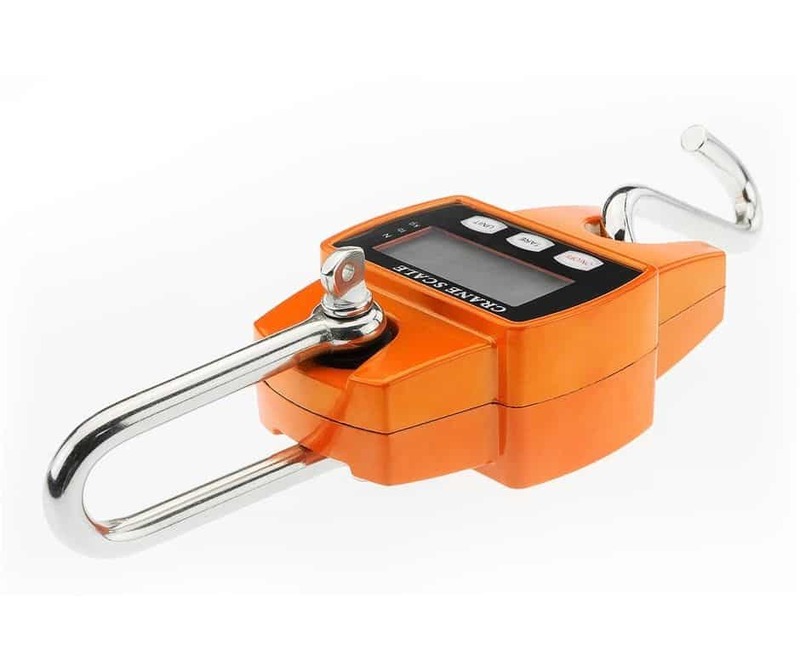 With advances in technology and the success of recent research , any coach on a shoestring budget can now accurately measure an athlete’s maximum strength quickly and easily using a device known as a ‘crane scale’. A crane scale (Figure 1) is what is known as a ‘load cell’ or ‘dynamometer’ and it’s simply used to measure the weight of something and typically costs less than $100 (USD). These devices are also almost small enough to fit inside your pocket, making them perfect from a portability standpoint. Because of the cheap cost and portability of the device, a recent study which was reviewed in issue #25 (November 2018) of our Performance Digest was conducted by Urquhart and colleagues  to test whether it could be used to accurately measure an athlete’s 1RM in an isometric movement (i.e. the isometric mid-thigh pull). If you wish to read the full details of the study and our expert review of it, including practical takeaways and expert comments, then click here for all the details. The crane scale was shown to have a near perfect relationship with the force plate. Based on the data collected and the statistical breakdown, it appears that a commercial hand scale, particularly the Crane model used, was reliable enough to be used for a crude indicator of isometric strength. Table 1. below demonstrates the accuracy of the crane scale when weights were hung from it . The authors also measured the accuracy of the crane scale against the force plate when measuring an athlete’s isometric mid-thigh pull (IMTP)* and found that the average difference between the two was only 2.7% – a very small difference indeed. *If you want to know more about what the IMTP is and why it’s the preferred exercise for measuring maximal strength (i.e. maximal force capacity), then we highly recommend you read this article on the topic. Based on this information and the excellent work of Urquhart and colleagues, coaches/practitioners around the world who’re working on a shoestring budget can simply measure their athlete’s maximal strength in a quick and easy fashion and feel confident that the results they’ve got are accurate. This is tremendously helpful for thousands of coaches out there who’re constantly “pushing the envelope” and finding new and exciting ways to provide the best service possible to their athletes. If you’re one of these coaches/practitioners who’re constantly trying to evolve your practice but don’t have a big budget to work with, then the crane scale is going to be a fantastic tool to add to your toolbox. Measure an athlete’s maximum strength. Measure the effectiveness of training interventions. Monitoring fatigue (understand the athlete’s “freshness/readiness to train”). Comparing athletes’ and creating competition. If you’d like to find out the details to all of the below points, then make sure you download our “Crane Scale: The Ultimate How to Guide” using the form below. This quick and easy guide will teach you everything you need to know about using the crane scale and evolving your service to your athletes. It’s 100% free and was built to help out passionate coaches like yourself who have to work on a tight budget. 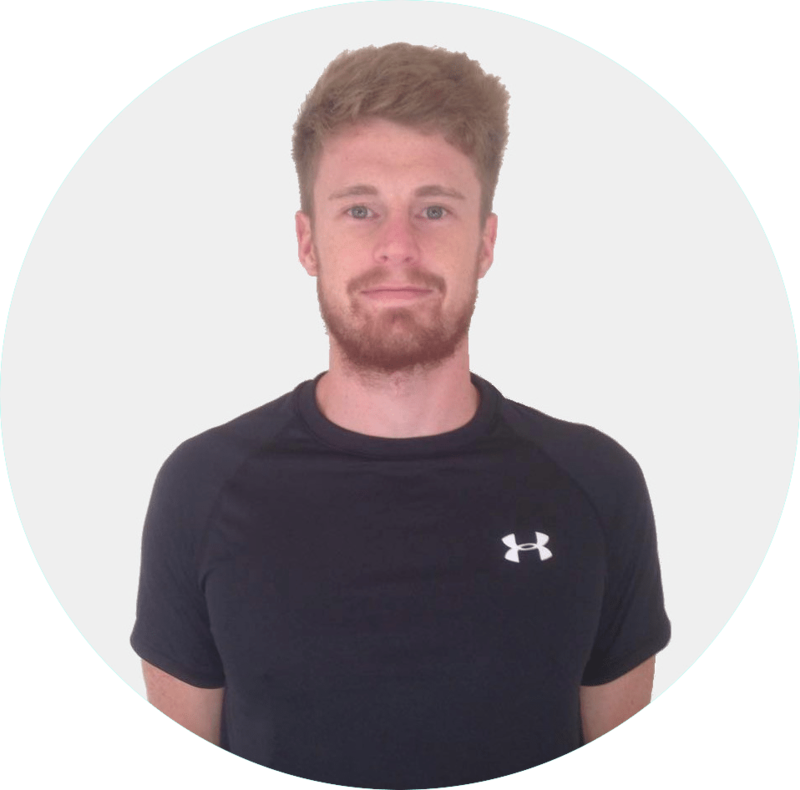 He is also the chief editor of the Performance Digest – a monthly review of the latest sports performance research. Can a low-cost Crane Scale provide solid data for strength testing?